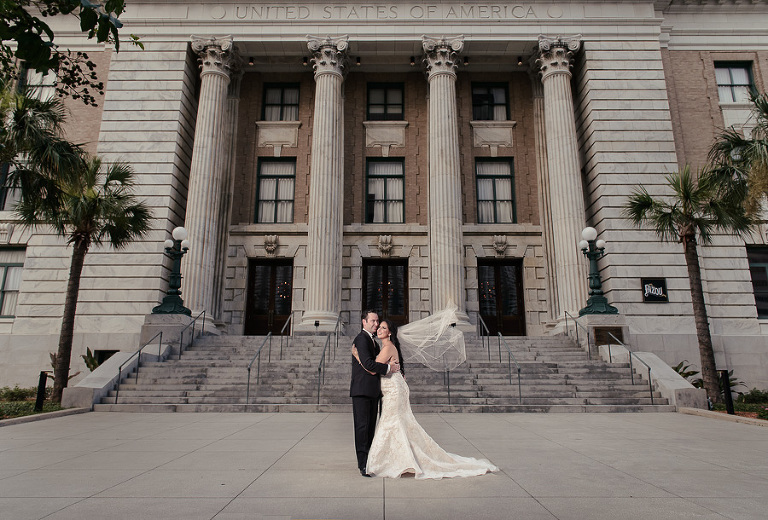 Cristina and Eddie’s romantic downtown Tampa wedding was centered around iconic wedding venues, providing the perfect backdrop for wedding portraits. 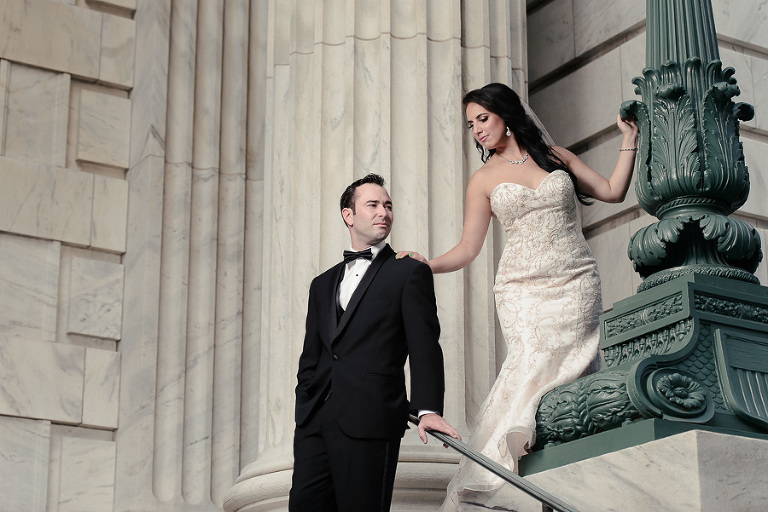 The day kicked off at the historic Le Méridien Tampa, which allowed the bride and groom to take portraits on the famous marble steps of what used to be a federal courthouse. 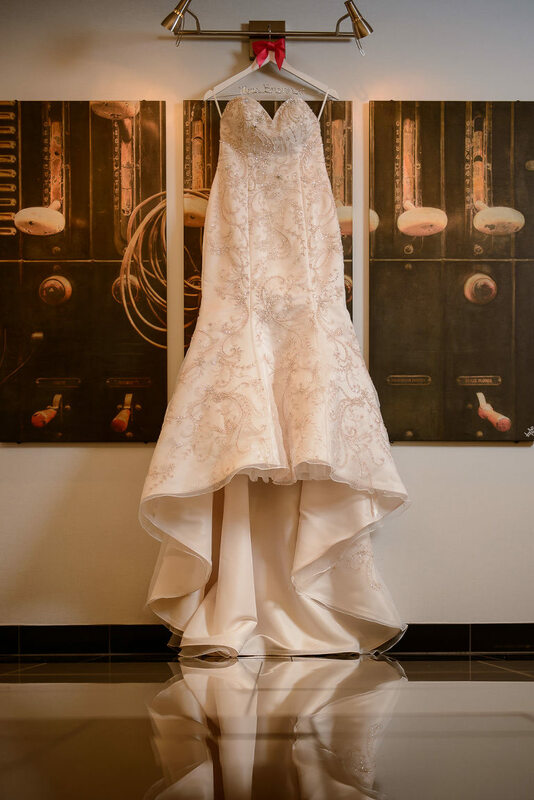 Following their ceremony nuptials at Sacred Heart Catholic Church, the couple transitioned guests toward their reception venue The Vault, which was previously the Exchange National Bank. 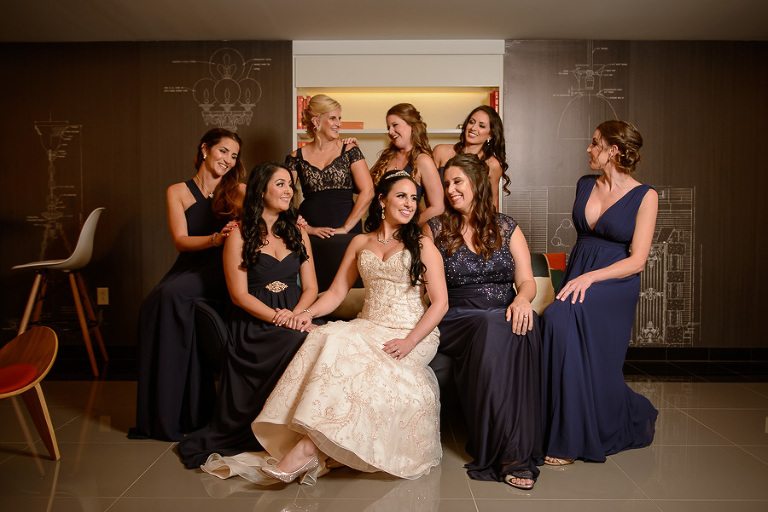 With a color palette of navy, blush and ivory, the elegant theme was kept throughout the modern reception. We asked the wedding planner Sabrina from The Southern Sweetheart to share her favorite thing about the couple’s reception venue.